When I was small, I dreamed up whole worlds, frequently retreating to my bedroom to talk to myself and the characters I created, advancing their stories or changing them to suit my mood. It's been a long time since I did that and I certainly never did it with any kind of thoroughness or maturity. 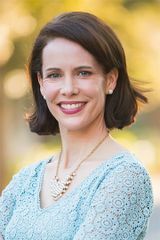 Author Beatriz Williams is still creating worlds and revisiting them but she isn't doing it in the privacy of her room; she's sharing these people and their world with all of us in her novels. Many of her books are interconnected although they aren't properly sequels to each other. Her characters do range in and out of books about each other so reading more than one will give you insider information that enriches the reading experience though. Her latest novel, Cocoa Beach, is definitely a companion novel to A Certain Age and has strong connections to Wicked City as well. Virginia Fortescue Fitzwilliam leaves New York with her two year old daughter Evelyn after the very public trial and conviction of her father for her mother's long ago murder. 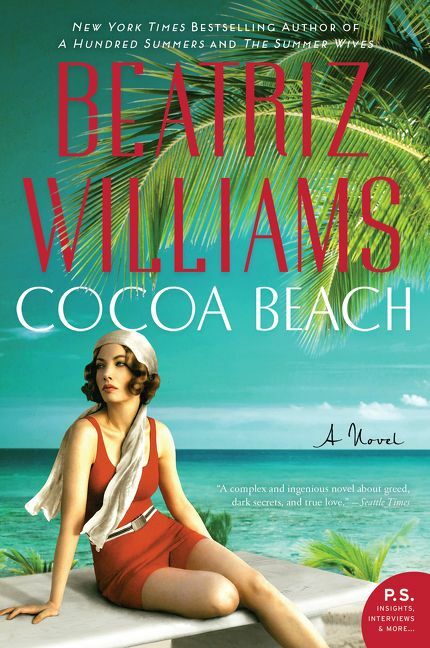 As if the one tragedy wasn't enough for this young woman to endure, she must go down to Cocoa Beach, Florida in order to look into and wrap up her estranged late husband's estate. Her husband Simon has perished in a house fire leaving behind a thriving business, a shipping company, an orange plantation, and a hotel. When she gets to Florida though, things are not as straightforward as might be expected and Virginia finds herself uncertain who she can trust. The novel flips back and forth between 1917 and 1922. In the former, Virginia tells the story of her meeting and romance with Simon in France in the midst of WWI. She's an intrepid American ambulance driver while he's a handsome Cornish surgeon with a complicated background. In the latter story line, Virginia is in Florida with Simon's twin brother Samuel and his sister Clara and perhaps getting too close to dangerous things that she clearly doesn't understand. Her feelings about her husband's character have undergone a complete turnaround from 1917 and 1922 and the reasons why are liberally teased throughout the length of the novel. But she cannot completely let his memory go, not least because their daughter Eleanor is the love of her life. In fact, she feels betrayed by both her father and her husband, something that makes her question her own judgment. After some of the 1922 chapters are letters written from Simon to Virginia during their almost three year estrangement, giving the reader information about his perspective on their marriage and his character that Virginia, not having read the letters, doesn't have. The lush surroundings of a Florida just starting to be developed cease to be a tropical escape, instead feeling increasingly oppressive and scary as the tension rises throughout the novel. In the end the book almost becomes a thriller, starting to gallop along at such a pace. There are bootleggers, a shadowy revenue agent, toxic family secrets, illegitimate children, murder, a villain pulling strings, romance, life threatening danger, the question of who wanted Simon dead, and manipulations galore in this soap opera of a historical novel. Virginia is suspicious and occasionally strong and decisive but her defining characteristic is the love she has for her beloved daughter. Protecting Eleanor and being there for her always so that her baby doesn't know the pain of growing up without a mother, as she did, is the driving force in her life and it will be the thing that prompts her to not just survive but to find the strength to overcome as she uncovers all the answers she seeks. The final revelation of truth comes rather late in the story and the ending is ultimately left wide open for another book set in this same fictional Prohibition world. In fact, the end of the novel is where it might be more than a little handy to have read Williams' other books mentioned above. Williams does a good job of keeping the reader guessing about Simon's character, giving a tiny bit of proof that he is not all he seems when Virginia is head over heels with him but then countering that doubt just enough to make the reader question Virginia's change of heart. Was she right about him in 1917 or is she right about him in 1922? I liked the other books in this (loose) series a bit better but this was still well researched, pulse pounding historical fiction. Thanks to Trish from TLC Book Tours and Harper Collins for prodding me to pull the book off my shelf to review.